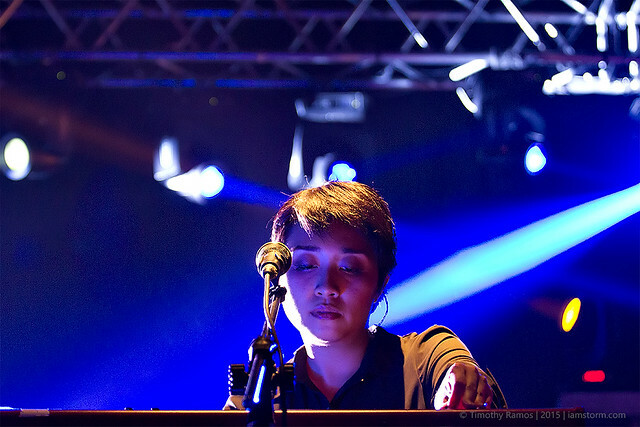 “Can you please turn off the lights?” Up Dharma Down vocalist Armi Millare asks. 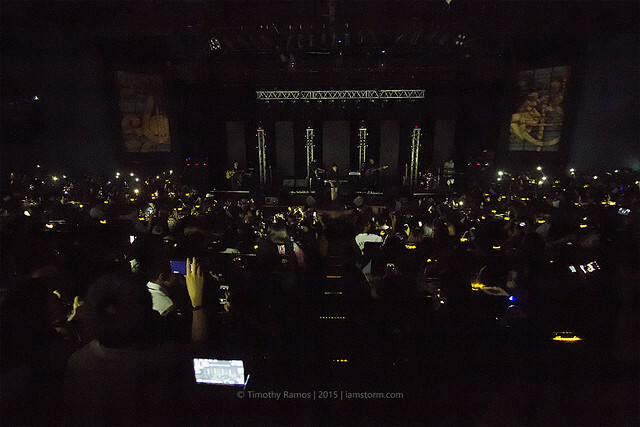 Towards the end, Up Dharma Down vocalist Armi Millare looks at the tech booth and says, “Can you please turn off the lights?” Which is kind of ironic, since this particular concert is called ‘Dharma Lights’. Once it’s done, she turns to the audience. “Do guys have lights? Cellphones or something? Para ma-feel naman natin na concert,” she says, smiling. The room suddenly lights up with the collective screens of everyone inside. After a few moments and a few words with the audience, they start playing again, the lights come back on, and the crowd is as enthusiastic as they were when the show began more than an hour and a half ago. There’s something about Up Dharma Down. They rose from relative obscurity several years ago, and while they have built a large loyal following over that time, a lot of people still don’t know them. I ran into an acquaintance at the concert who was surprised that the show sold out – little did he know that not only did the show sell out, but that it did quite quickly. 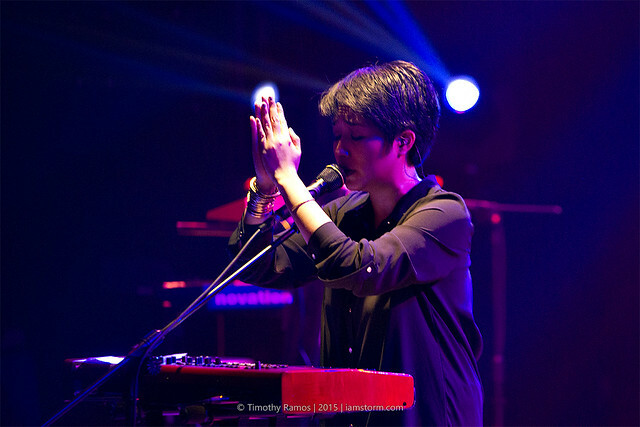 Like I said, there’s something about Up Dharma Down. 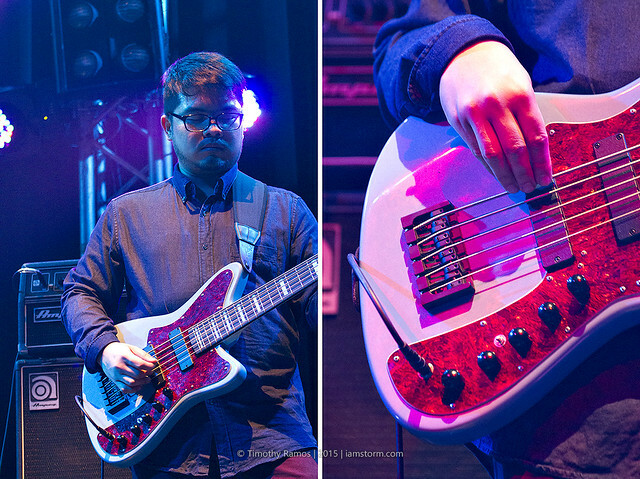 Paul Yap, Up Dharma Down’s bass and synth man. Light it up! Dharma Lights indeed. And their music too, of course. Genuine musicians, the lot of them are. They don’t swagger about like most other bands – in fact, most of them seem nice and soft-spoken, awkward even, Millare in particular, especially when they speak. The bluster is in their music. I’m hard-pressed to give you a genre – safe to say it’s a mishmash of a lot things, made into a wonderful techno-pop mix that does OPM proud. In truth — and please note (or forgive) that I am merely a casual fan — I find it hard to understand UDD’s lyrics sometimes. But I think that’s part of the band’s charm. Their latent musicality seems to dominate the way they perform, and you WANT to find out what they’re singing. And when you do, therein lies another pleasant surprise. That’s gold, right there. And on the night where it was all about them and their music — accompanied by spectacular lighting, t’was a night to remember, to say the least. On a personal note, I loved being able to shoot a concert again. It’s one of my favorite genres, and that Up Dharma Down plays good music was an awesome, awesome bonus. It’s not always that I get this opportunity, so thank you to Music Museum and VerJube Photographics for not shooing me away. It’s been awhile. What can I say — life got in the way. And while I do have a couple of stuff on the backburner that I can put up, I can’t think of a more appropriate post to revive this space with. 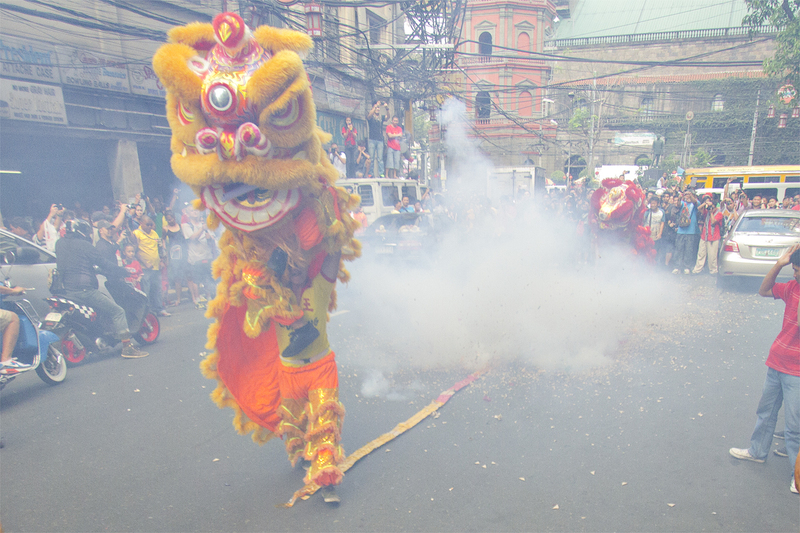 February 19, 2015 saw me take a half-day leave from my night shift work, trudging half-awake to Shell Tiendesitas to hitch a ride with some friends to catch some of the Chinese New Year festivities in Manila Chinatown — and maybe sample some authentic Chinese food as well. We arrived in what is the oldest Chinatown in the world — yes, you read that right, OLDEST IN THE WORLD — at the crack of down. The district was largely quiet, with most of the shops still closed for business. So we did what we always did what we always did — wait. 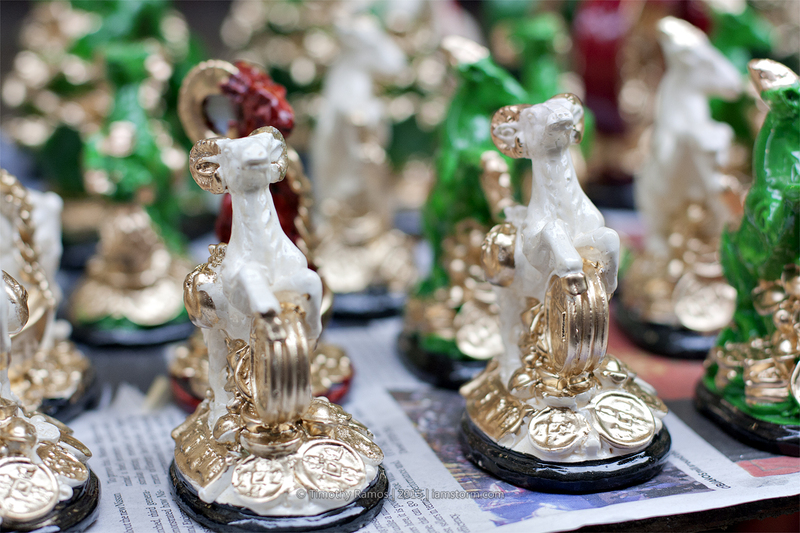 Year of the Goat good luck charms. Before we knew it, the place was awash with people milling about. Vendors, most of whom were selling good luck charms, popped up along the sides of the road, and customers were lined up outside popular (mostly food) stores like Eng Bee Tin and Wai Ying. TV crews took up places all around Binondo church and all sorts of entertainers were going around, performing for anybody who could be bothered to throw in a few pesos in their direction. 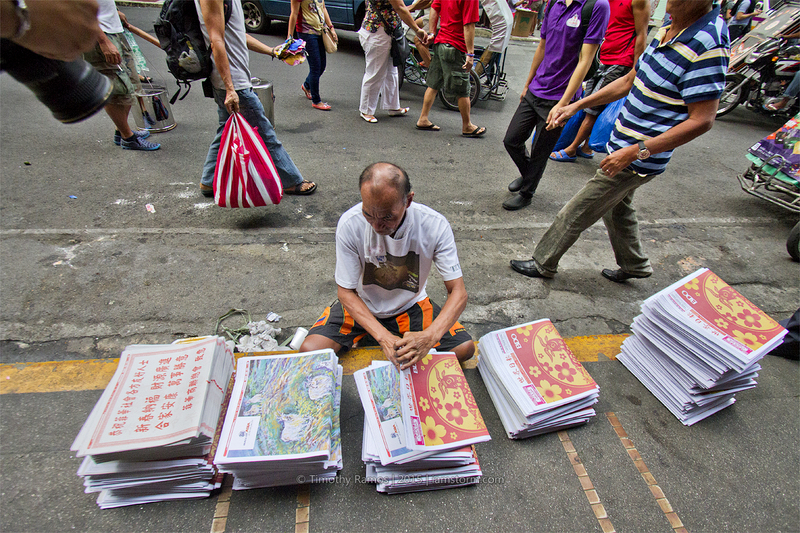 Firecrackers to ward off evil spirits that bring ill fortune. 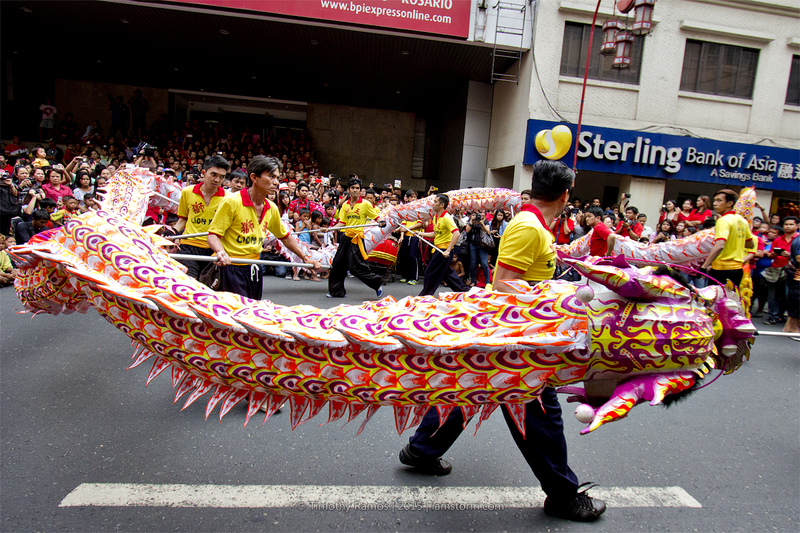 Despite being half-Chinese, I’ve never celebrated Chinese New Year in any shape or form, nor have I been to Chinatown to watch the festivities. 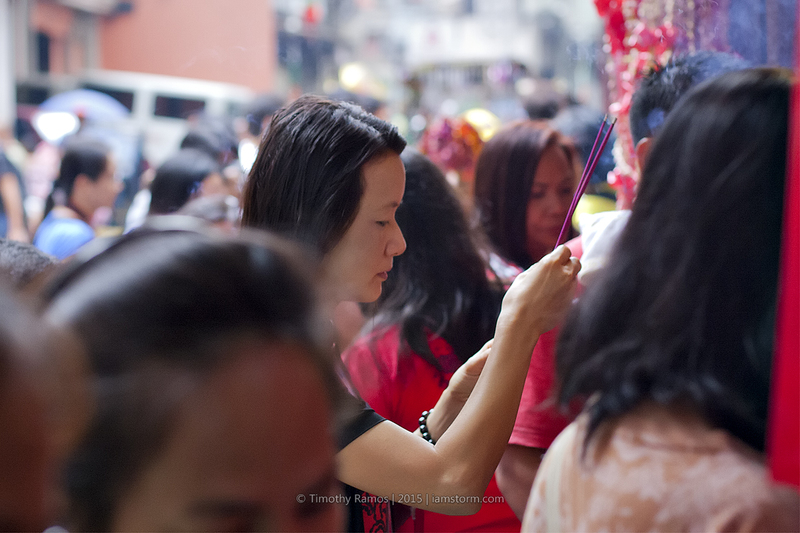 I was surprised at how many non-Chinese folks turned up to spectate and participate — I noticed that even in an incense altar (albeit with a sort of crucifix, a testament to how Filipinos are wont to mix stuff in with Catholic traditions, dogma be damned), more Pinoys were waving incense sticks about and mumbling prayers compared to their Chinoy fellows. It was an interesting experience to say the least, one I’d like repeat should I get the chance. 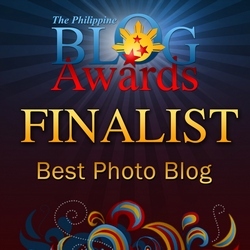 Many thanks to friends and folks — most of them members of the Framed Shots Camera Club — who let me tag along.